Category 1 Water - Damage from a source of water that does not pose substantial threat to humans and classified as clean water. Examples are broken water supply lines, tub or sink overflows, or appliance malfunctions that involves water supply lines. Category 2 Water - Damage from a source of water that contains a significant degree of chemical, biological, or physical contaminants and causes discomfort or sickness when consumed or even exposed to. These sources are often referred to as grey water. This type of water carries microorganisms and nutrients of micro-organisms. Examples are toilet bowls with urine (no feces), sump pump failures, seepage due to hydrostatic failure, and water discharge from dishwashers or washing machines. Category 3 Water - Known as black water and is grossly unsanitary. This water contains unsanitary agents, chemicals, pollutants, harmful bacteria, and fungi, causing severe discomfort or sickness. Type 3 category are contaminated water sources that affect the indoor environment. This category includes water sources from sewage, seawater, rising water from rivers or streams, hurricane storm surge, ground surface water, or standing water. Category 2 Water or Grey Water that is not promptly removed from the structure and or have remained stagnant may be re-classified as Category 3 Water. Toilet back flows that originates from beyond the toilet trap is considered black water contamination regardless of visible content or color. As there are categories of water cleanliness, there exist classes of water damage, typically determined by the probable rate of evaporation based on the type of materials affected — things that got wet — in the room or space that was flooded. Determining the class of water damage is an important first step, and will determine the amount and type of equipment utilized to dry-down the structure. Class 1 - Slow Rate of Evaporation. This class typically affects only a portion of a room. Materials exposed to water have a low permeance or porosity, and minimum moisture is absorbed by the materials. Class 2 - Fast Rate of Evaporation. Water affects the entire room, soaking all carpet and cushion furniture. Water may have wicked up the walls, but not more than 24 inches. Class 3 - Fastest Rate of Evaporation. Water generally comes from overhead, affecting the entire area: walls, ceilings, insulation, carpet, cushion, etc. There are a number of different techniques and types of equipment used to dry out a structure following exposure to water. 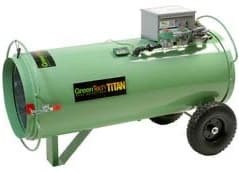 GreenTech Heat’s Titan 800 is a powerful, portable, propane heater that convects the air and increases the temperature throughout the structure, removing moisture from the structure as the air exits the building. In scientific terms, convectant drying is described as: the balanced manipulation and control of air exchanges, heat, and vapor pressure differential to create optimum conditions for evaporation, reduction and control of airborne moisture from the indoor environment. Disinfection is an added benefit of drying a structure with a Titan 800. Whereas submerged contents of a structure may be a total loss, treating the frame and subflooring of a building with heat will kill bacteria, mold, and other dangerous organic contaminants. 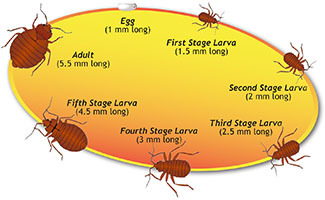 Structural drying with GreenTech Heat equipment may kill most organisms living in the interior spaces we inhabit. In the laboratory, Stachybotrys chartarum, also known as toxic mold, is killed in 30 minutes of 140°F (Domsch, 1993, pg. 745). E. coli rarely survive beyond 10 minutes of 150°F (Padhye and Doyle, 1992). Hantavirus is rendered inactive with exposures of 30 minutes of 140°F (Manual of Hemorrhagic Fever and Hantavirus Pulmonary Syndrome. WHO. p. 196). Prior to reconstruction, it’s important to dry out and disinfect the structure, especially the structural elements such as wall studs and floor joists that will hid behind new drywall and flooring. The GreenTech Heat Titan 800 heats and moves a significant volume of air while treating the building. Treatment creates an open system where more than 5,000 cfm of heated air flows into and through the structure, and is vented out as part of the treatment. As the structure actively dries, air contaminated by mold spores, bacteria, and viruses is continuously expelled from the treatment zone. It makes good business sense for a number of industries to own their own structural drying equipment. Hotel/motel management and service departments. Senior living facility maintenance teams. Regardless of a flood source — a hurricane, a broken water line, or a slowly-leaking toilet or shower — GreenTech Heat has the heat solution to mitigate the damage from flooding. 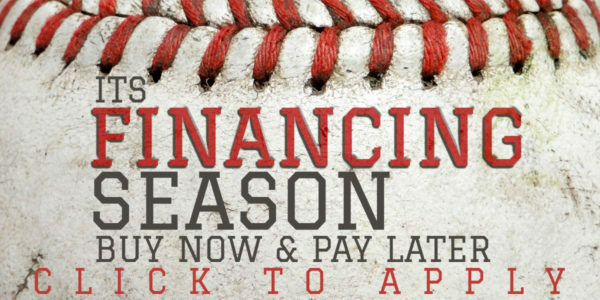 As always, please feel free to contact us at 855-GTH-BUGS (855-484-2847) with any specific questions you may have.